Ron and Maggie Tear Photography: Baobabs. Synonomous with Africa, the Baobab is legendary. The Gods were angry at the tribes so they pulled up the trees and put them back upside down. So we have this shape, loved by Elephants who gore the trunks for the moist inner bark. Some of these tree's are a thousand years old, Baines Baobabs the most famous. These were taken in Ruaha Nat Pk, Tanzania. 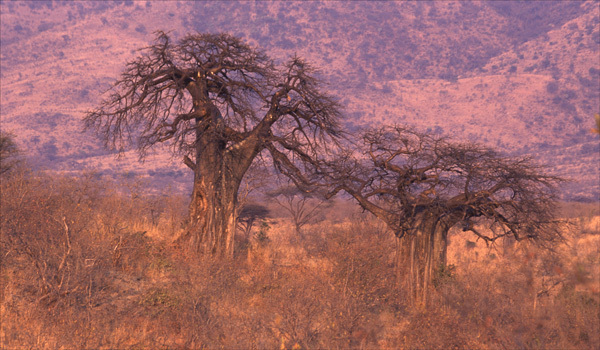 The landscape was arid and there were a lot of Baobabs in the vicinity. Ruaha Nat Pk, Tanzania, Africa.